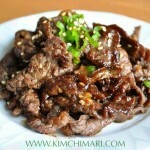 Korean Green Onion Salad or Pa Muchim is a must have side dish for Korean grilled meats. 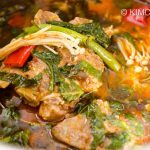 It is a really simple dish but it brings out the flavor of your meat while cutting out the fatty taste. 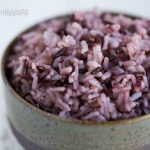 Gluten free and ready in 10 minutes or less! 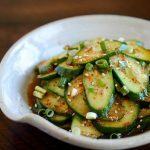 Korean Green Onion Salad or Korean Scallion Salad (Pa Muchim 파무침) is just too simple and easy to make that I almost feel embarrassed to call it a recipe. 😜 But I realized that I must share it with you all since it makes EVERY GRILLED MEATS taste SO YUMMY!! In the summer, I probably make this at least once every week because we just LOVE grilling outside in beautiful California weather. 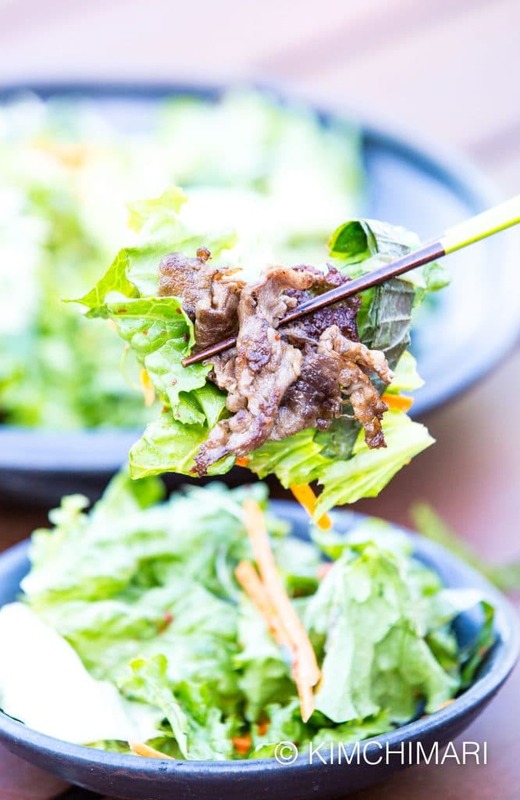 Whether we are grilling marinated Korean meats like bulgogi or kalbi, or non-marinated plain meats like Ross Gui (로스구이 thin ribeye or tenderloin) or Samgyeopssal (삼겹살 pork belly), this salad is a must have side dish for our table. 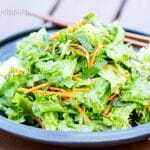 If you look at the ingredients of this Korean Green Onion Salad, you may think that it may be too bland and not tasty enough but it will surprise you how it goes perfectly with your meats by adding a slight acidity, sweetness and mild heat to every mouthful. 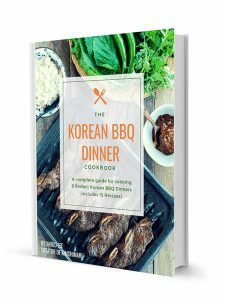 And remember, usually Koreans eat grilled meats dipped in sesame oil + salt or other soy sauce based dipping sauce which means there’s salt there too. I have to note that my Korean Green Onion Salad recipe that I’m sharing here is a bit of an expanded version of Pa Muchim. Pa Muchim is usually a salad made from just green onions. And you can totally use my recipe below to just toss green onions only and that will be amazing as well. 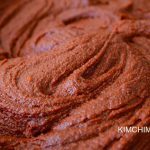 And I know some recipes add sesame oil to it and you are welcome to do so but because we already like to dip our meats in sesame oil, I don’t add it here. So, here’s how I ended up making this recipe. Over the years, I got tired of making PaChae – green onion slivers because it takes a long time to cut the slivers. 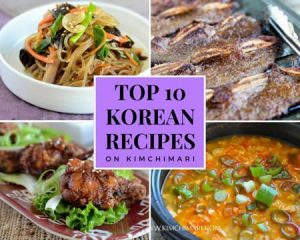 And also, because my husband and my daughter both love it so much that I can never make enough…😓 😓 And then I had an issue with Ssam in my family — I love having ssam (lettuce wraps) with my meats but with my husband and my daughter, it was never clear. Sometimes they love ssam but sometimes they won’t even touch it.. What am I to do??? Well, I then I thought of combining Ssam materials and Pa Muchim together! Add lettuce, perilla leaves to Pa Muchim?? YES!!! That way, I can get them to eat more veggies and also not slave over making PaChae forever!!! 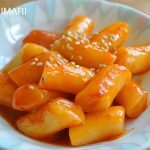 I was so happy the first time I made this with my family; it was much quicker to make and a huge bowl of this Korean Green Onion Salad was all gone by the end of dinner! Cut green onion into slivers and soak in cold water for 5-7 minutes and drain. While green onions are soaking, rinse lettuce and tear into pieces by hand. Note, it actually is better to leave the lettuce wet and NOT use a salad spinner to dry the lettuce. This is because I add very little dressing. Cut perilla leaves into strips. Peel carrot and use a Mandoline or knife to julienne the carrot. Here are all the salad ingredients laid out on a tray. Carrot is totally optional. I just did it mainly for color and for little bit of sweetness. Mix all vegetables together and season with sugar, salt, pepper, chili powder and then drizzle vinegar. Toss with your hands or with a tong. Serve immediately with your favorite grilled meats. 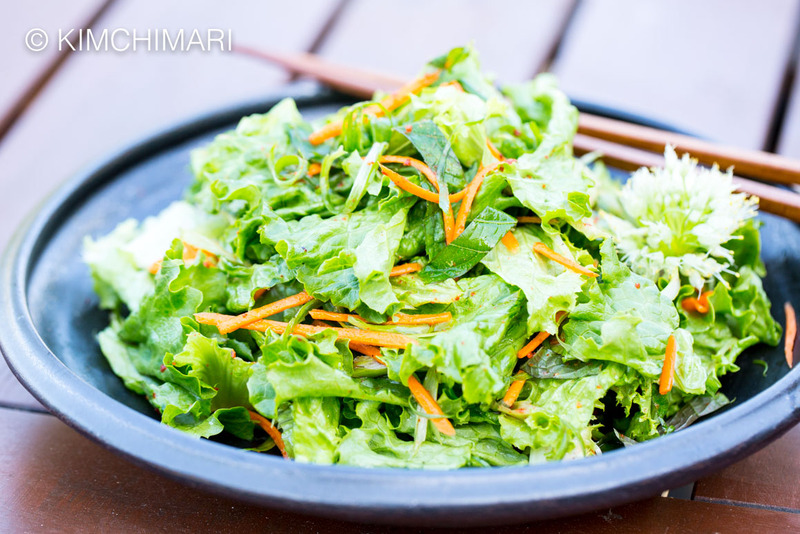 Korean Green Onion Salad (Pa Muchim) is a must have side dish for Korean Grilled Meats. 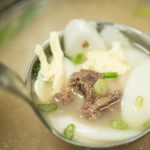 It is a really simple dish but it brings out the flavor of your meat while cutting out the fatty taste. Cut green onion into slivers and soak in cold water for 5 minutes. 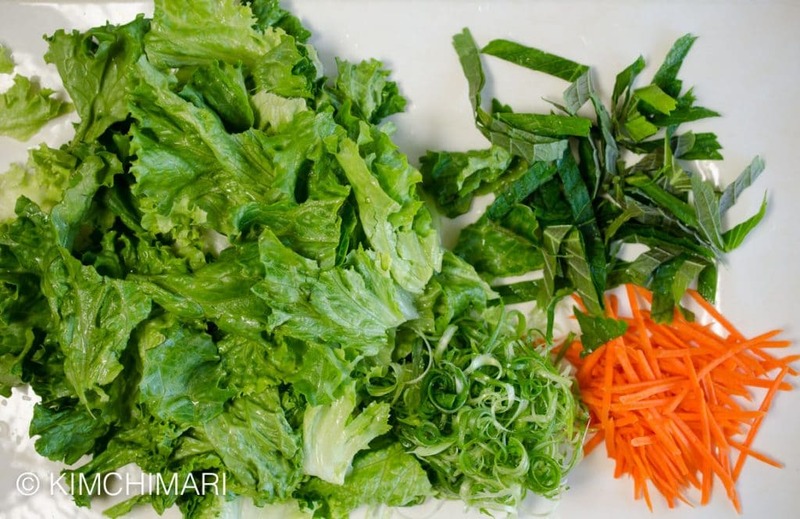 While green onion is soaking, rinse lettuce and tear into pieces by hand. Note, it actually is better to not use a salad spinner for the lettuce and let it be wet. Peel carrot and use a Mandoline or knife to julienne the carrot. Here are all the salad ingredients laid out on a tray. It is best to toss the salad right before serving. Since it doesn’t keep well, toss partially if you are not sure how much you are going to eat. 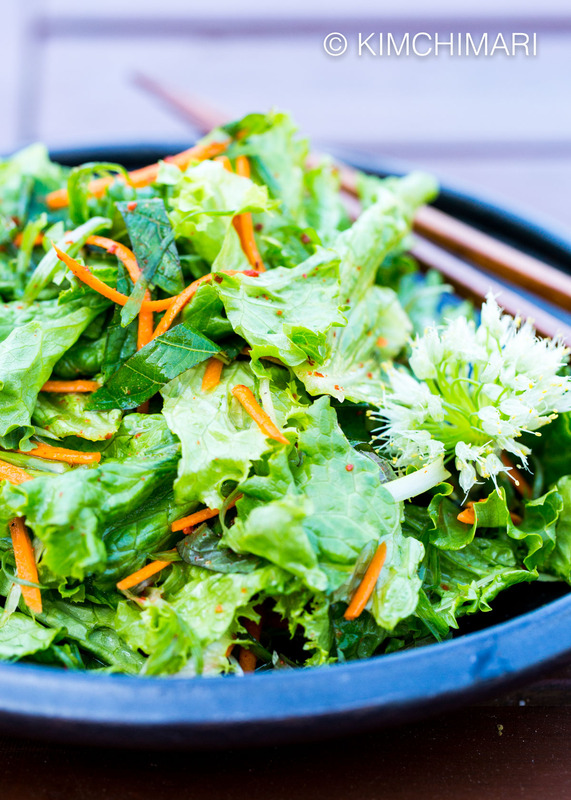 Use a packaged salad mix if you want to make it even simpler. More robust greens work better than tender greens. Just cut the green onions and add to your salad. 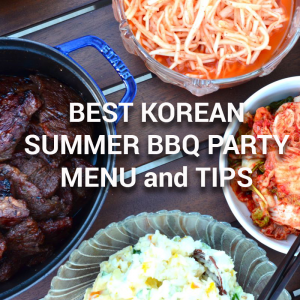 Check out my Best Korean BBQ Menu and Tips on how to enjoy the most yummiest Korean BBQ party at your home! 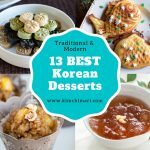 If you have leftover Perilla and don’t know what to do with it, here are 10 ways to enjoy Perilla in Korean cooking! 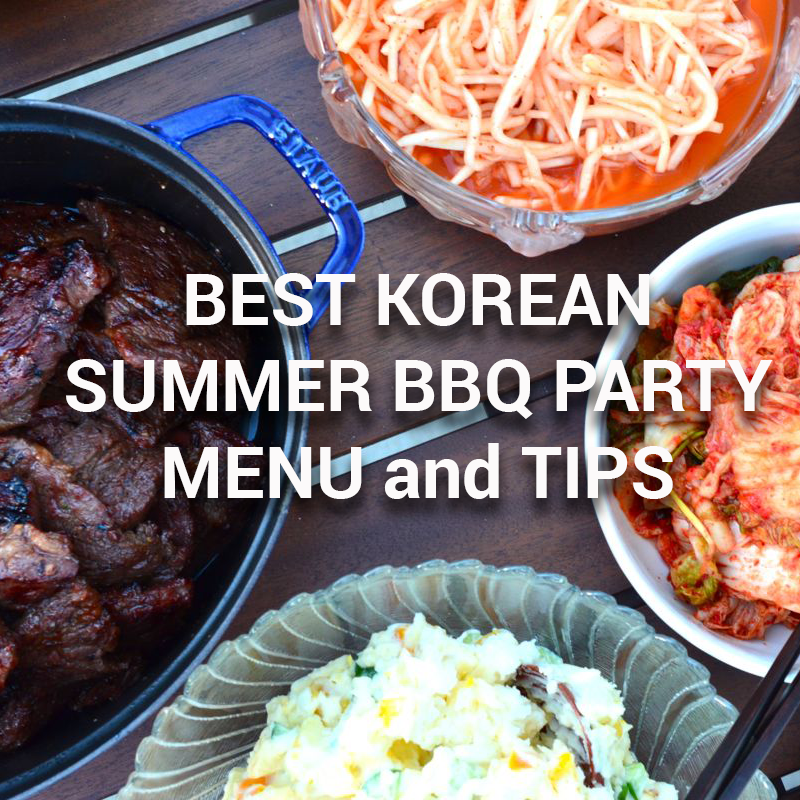 Here’s a quick video on How to Make Korean Green Onion Salad (Pa Muchim) for your next Korean BBQ party! I love green onions! Sounds delicious and simple to make! 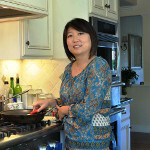 If you were to add Sesame oil, how much would it amount to? Hm.. probably about 1/4 ~ 1/2 tsp? Not much more than that.